The Puck wireless charging pad is a single coil charging solution for all Qi compatible devices. It's slim, low profile design takes up minimal space and keeps charging compact. 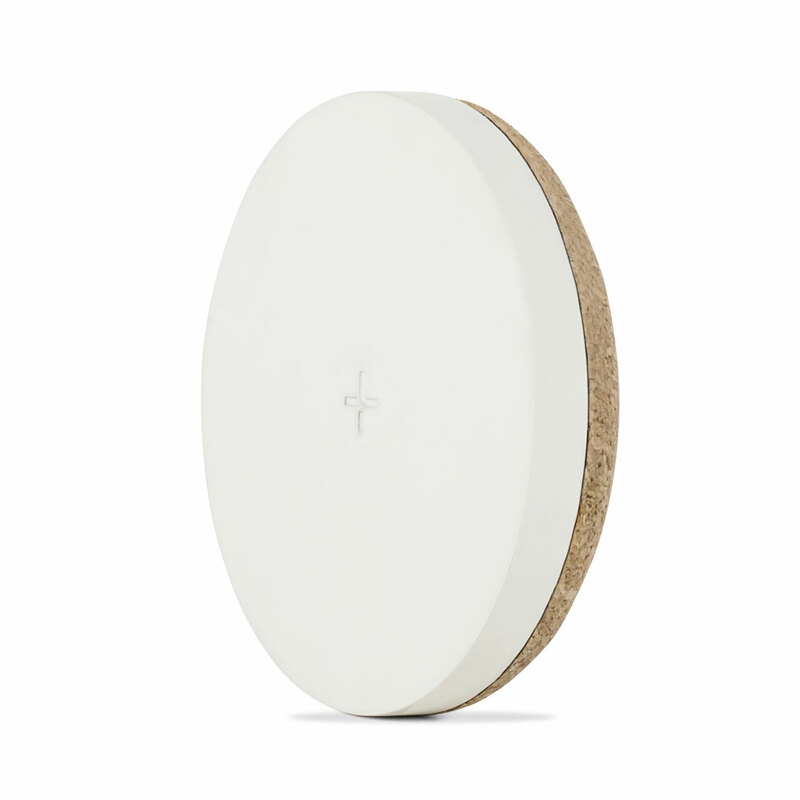 The soft-touch finish and cork textured base is the perfect design to match a user’s lifestyle. It even has a 10W output that can FAST charge compatible Samsung and Apple devices. Don't worry about taking a case off before charging, the Puck can charge through most cases and covers. The PUCK has a slim build that allows it to take up the least amount of space possible in a home or office. The premium materials are not only aesthetically pleasing, but they are also durable and provide a nice accent to wherever it is placed. The PUCK is the perfect wireless charger for a Qi compatible phone. Its free positioning technology and large charging area allows users to simply place a phone onto the PUCK and let it charge no matter how it’s placed– portrait, landscape or even upside-down.